HOME Dealers Products Contact us Support FAQs What's new? The use of electronic controls is the hallmark of Alpine kilns. 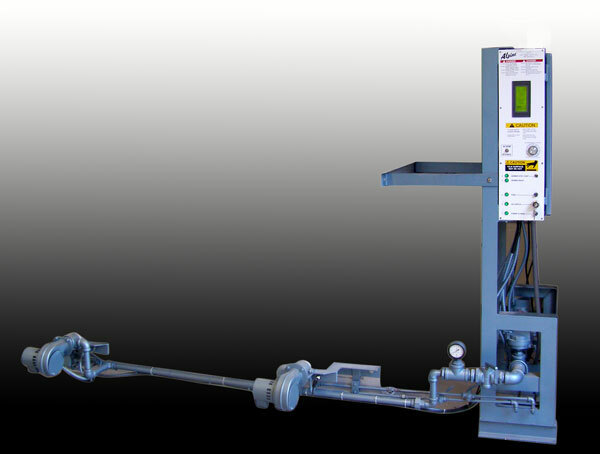 Electronic controls offer the user repeatable firing modes and freedom from continual kiln sitting. All Alpine kilns are equipped with a state-of-the-art Programmable Logic Controller (PLC) with a touch screen that permits operation of the kiln in either a high limit or ramp mode. In ramp mode, time spans and set points of each interval are individually adjustable for greater control. In the high limit mode there is a 100% flame shutdown and lockout upon reaching temperature. Pilot lamps show the sequence of start-up operation and warn of gas pressure problems or flame failure with an alarm bell. Programming is easily accomplished with the touch screen. 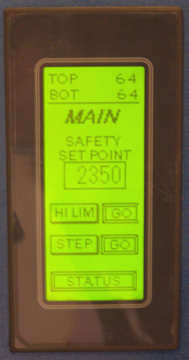 The display provides a constant overview of the firing process and in program mode displays the rate of heat rise. The PLC uses standard S-type thermocouples for accurate temperature measurement. Modeled to follow the stringent safety codes of Illinois and California, this control panel is the safest of its kind when properly installed and maintained. Consultation is required with local zoning authorities to review specific building code requirements before purchasing. Any modification in specifications after consultation with local zoning authorities must be sent in writing of exact specifications required. Include in writing contact name and phone number for all correspondence. Modifications will be reviewed and may be subject to additional charges. 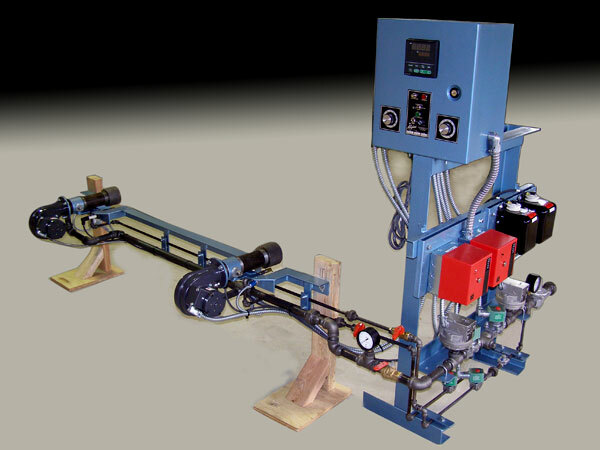 Our latest economy gas kiln burner system up-grade. 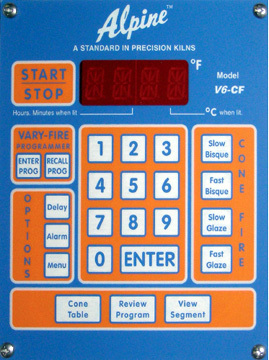 Can be ordered for any of the HF, DDHF Series kilns. 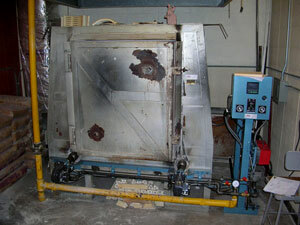 Can also be special ordered for the ND, SBF Series kilns. YOU CAN NOW UP-GRADE ANY EXISTING ALPINE ELECTRIC KILN WITH OUR NEW V6-CF DIGITAL CONTROLLER KIT. CONTROLLER KIT SYSTEM IS PROVIDED WITH ALL COMPONENTS, MOUNTING ADAPTER PLATE, WIRING, SCHEMATIC, OPERATING MANUAL AND ANY TELEPHONE ASSISTANCE YOU NEED. A QUALIFIED ELECTRICIAN CAN INSTALL THE KIT IN LESS THAN 2 HOURS. PRICE RANGE DEPENDING ON MODEL AND VINTAGE OF KILN. 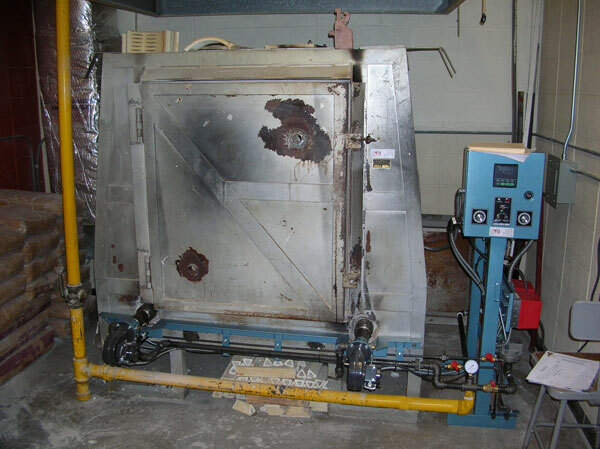 ALPINE Electric kilns since 1943 has been the leader for generations. With the latest control and innovative changes to our EF electric kilns series.